While it’s a great idea to eat really clean, healthy food, often times the reality is quite different. Maybe you don’t have the time to cook (or you don’t like to cook) which necessitates buying food that’s pre-made. One of the most frequent aspects of this is eating cold cuts. 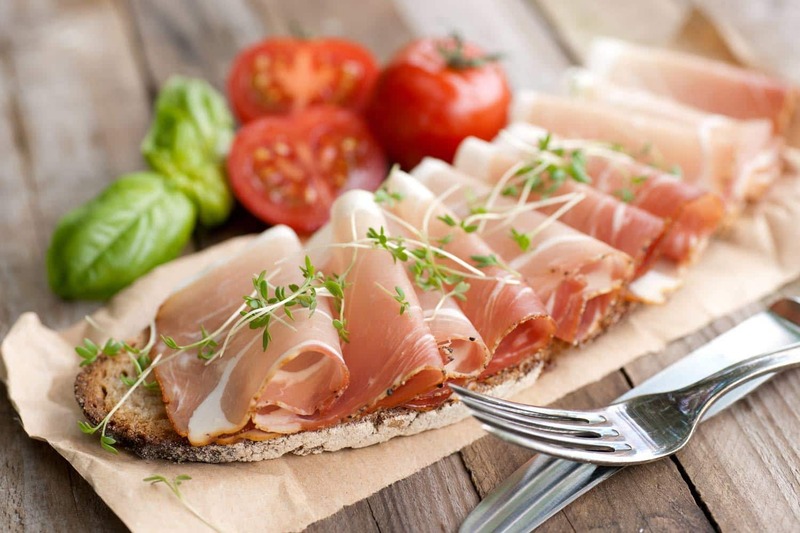 With the rise of more organic and gluten-free brands, it’s become easier to use cold cuts as a way to quickly assemble lunch, but I’m now of the mindset that we should all reduce or stop eating cold cuts because there are other alternatives out there that make more sense for your health and wallet. I’ve written about this before in regards to gluten-free bread and how I believe that those who buy it should stop eating it on a consistent basis. I get that it’s easy and that it’s what you may be used to, but the bread is typically loaded with junk (if it’s store-bought) and high in refined carbs. Eating gluten-free bread once in awhile? Sure. Daily? No dice. I won’t go into all of my issues with gluten-free bread here since I have written extensively about it HERE and HERE. But, I was rightly asked several times since the initial article came out about why I recommended people continue to eat cold cuts when they aren’t all that good for you. At the time, I didn’t have a good answer to that point aside from the notion that swapping the bread out for lettuce wraps was at least one step in the right direction. For awhile now that question haunted me partly because I ate cold cuts and probably wasn’t ready to give them up. I have a real love of salami which stems from childhood and it’s only been in the past several months that I came up with a solution that I decided to share with you today that makes sense both from a health and wallet-conscious perspective. First of all, not all cold cuts are gluten-free. Checking to see if the brand you purchase bares a gluten-free label is important as many brands add all sorts of ingredients to make many of their products taste good (or at least like what you’re expecting). This can be especially problematic if you buy your meats from the deli counter and all products used on the slicing machines isn’t gluten-free. Otherwise, I recommend cutting out cold cuts because they are loaded with sodium (though I’m not anti-salt at all… I just think you should get it from more natural sources like sea salt). They can contain all sorts of random flavorings and additives that help a mishmash of meat taste and look like it was carved straight from the animal from which it was sourced. Yes, I realize that cold cuts are not all the same since some are incredibly processed (like bologna) and others are cured (like dried salami or other traditional cured meats). But they shouldn’t make up the bulk of your diet every day for lunch. Most of what we get here in the US is highly processed. What About the Organic Brands? Sure, better quality companies such as Applegate Farms (which was bought by Hormel who also produces Spam, for what it’s worth to you though I’m not making a comment here as to whether this is good or bad) may produce cold cuts which are of a higher quality, don’t use cattle exposed to growth hormones, and generally have fewer ingredients listed on the food label. But don’t kid yourself into thinking that these cold cuts aren’t processed… they are. And another issue for some is that Applegate Farms is ridiculously expensive. A typical 6 ounce package (so not even half of a pound) can run anywhere from $4.59 to $6.59 depending on where you shop. When you do the math, that’s quite a pretty penny for less than a half-pound of meat. Granted, I spent several months upgrading my lunchmeat to those from Applegate Farms and I will occasionally buy them now for times when I’m traveling, but that’s it. Lunchmeat is an occasional purchase for me because I found a better solution. Back to the person who asked me why I still recommended cold cuts years ago on my gluten-free bread post… well, I heard her and her words marinated in my brain for quite some time. At the beginning of this year, I made a resolution to start buying more organic, less processed foods. My commitment to this really started to kick in mid-year and part of the reason based on health and the other half was based on price especially since organic purchases do cost more. I’m always looking for creative ways to offset some of that (many of my tricks are compiled here in The Savvy Gluten-Free Shopper). What I discovered is that 1 pound of ground, grass-fed beef or pastured chicken or turkey was actually a lot more cost-effective than getting less than a half of a pound of processed, organic cold cuts. Sure it could cost you close to $9 or $10 per pound depending on how much your store (or farmer) charges, but it’s still less expensive. And if I get the meat on clearance because it’s a day or so away from it’s sell-by date, then it’s an even bigger score (and I’ll probably be the one to buy up all of those reduced packages and toss them in my freezer to cook up later). Every Monday, I sauté up a pound of whatever I’m in the mood for, add my favorite spices (Real Salt’s Organic Natural Season Salt is amazing on beef), portion the cooked lot up into four or five servings and top my daily lunch salad with it. I know this might seem like a “duh” moment, but it was huge and life-changing for me. I finally kicked my addiction to eating lunch meat all thanks to that one person who rightly pointed out my own nutritional blind spot. It may have taken me a bit to get here, but I finally arrived and I’m very appreciative that I can share this one tip that could both improve your health and help your budget so that you can continue to buy better quality food to support your health. Hi Jennifer, I cooked johnsonville sausages then added them to a spaghetti sauce. All were gluten free. They were pretty good. Something different to try. Great idea to use high-quality ground meat instead. Theoretically, you can control salt/sodium levels and choose preferred seasoning levels this way too. Last year I bought 1/3 lb. of ground chicken and sauteed up some for dinner. I noticed an hour later my heart was racing and blood pressure seemed quite a bit higher. Even though butcher said there was nothing added, I plan to do some research. Anything you would advise to readers?